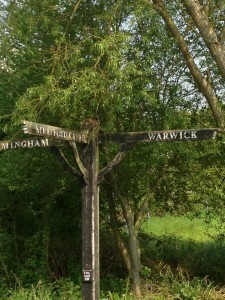 A comfortable one week cruise via Napton, Braunston, Hawksbury, Fazeley and the north Stratford Canal to Kingswood returning to Warwick via the Hatton flight of locks, or vice versa – Hatton first or last – your choice! To the Shakespearian town of Stratford via the Hatton flight(23 locks), Kingswood Junction to the Southern Stratford Canal. Moor in the centre of Stratford near the Memorial Theatre. The return trip can be extended by taking a detour to Knowle. One weeks cruise via Braunston, Norton Junction, Watford and the Grand Union to Foxton, if time permits descend the Foxton flight of locks and visit Market Harborough. A gentle cruise via Braunston, Hillmorton and Marston to visit the site of the battle of Bosworth Field. The Ashby meanders through pleasant countryside. To Banbury via Napton, Cropredy and return. Easy and attractive run. Cruising time 38 hours can be extended to Aynho giving a further 6 hours cruising time. A cruise along the Grand Union via Braunston, Norton Junction and Weedon through Blisworth tunnel to the Waterways Museum and return. An interesting and varied two weeks via Foxton, Sawlwy, Trent and Mersey, Fazeley Junction, Hawksbury, Rugby and Grand Union. Down the ever popular Oxford Canal and return. Two weeks cruising via Hatton Flight, Stratford Canal, Rivers Avon and Severn, returning via Worcester and Birmingham Canal. Extra tolls are applicable to this route. Note not advisable in one week from Warwick. To Birmingham (Gas Street Basin) via the Hatton Flight and North Stratford, take the Main Line to Wolverhampton, then via the Main Line to Wolverhampton, then via the Staff’s and Worc’s to Stourport on Severn. Down the Severn to Worcester, return via the Tardebigge Flight to Kings Norton. A relaxed cruise with time to stop in Worcester, take trip on the Severn Valley Railway and visit the Avoncroft Museum at Stoke Prior and the Black Country Museum at Dudley. For the trip of a lifetime we can recommend the three week cruise down the Grand Union to London, along the Thames to Oxford returning to Warwick via the Oxford Canal.